Hello there Turkish Aviation fans, welcome to another thread. And Happy "Turkish Aviation Thread” Anniversary, first thread December 2006. WoW!!! Thank you all for keeping these threads going for all these years. Here is a photo of TK 77W TC-LJA flying in formation with Turkish Stars during the soft opening ceremony of the new airport. -Dec20th China Southern resumes 3 x W IST-PEK with A330. -The new airport adds two more routes to its schedule. Let’s see if the “Big Bang” will happen in a months time ?? Please continue with your views, news, photos, rumors and good old sense of humor. Some Turkish news websites are stating that the big move is starting 15 december after a meeting with all the involving parties who came to one agreement. Atlasglobals first A330 went out for a test flight at MEX a day ago. Last edited by BOEING777EK on Fri Nov 30, 2018 6:34 pm, edited 1 time in total. Thanks for a new thread. Certainly will be an interesting month . All will be delivered in 2019. Interview with TK CEO Bilal Eksi about new airport. 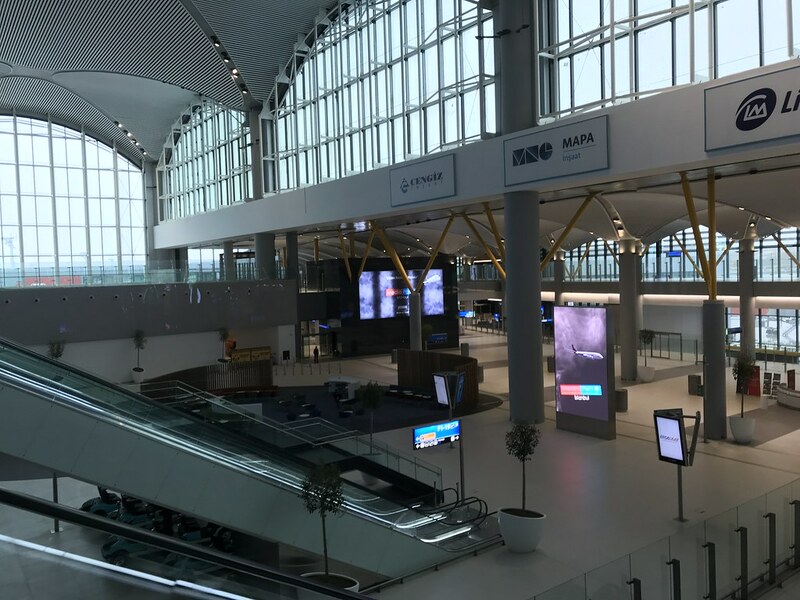 "The new lounge in the new Istanbul Airport will be three times bigger than the existing one in Ataturk Airport. There will FFP, Business Class and Executive Lounges, which today are combined into one lounge. The same company, Do&Co, has joined designing process the new lounge too. There will a cultural centre and a museum, where historical monuments and expositions will change every three months that will display Turkish cultural history. There will Turkish coffee, corners, Turkish tea corners. There will many attractions in the new lounge. " Also says Mexico route will open in 2019 in addition to bunch more. I saw two Atlas hybrid painted 330´s the other day in AYT, but these don't appear in their fleetlist. Completed two flights from/to the new airport. I was pretty impressed by the size and it looks fantastic. Great to see when is the first one due May/June 2019 ? These two was leased from Air Leisure in summer. The leasing is ended. They are stored in AYT by Air Leisure. I saw Onur Air announced a new scheduled service route - this time not to Europe, but Baghdad 4x weekly with A321 starting December 27th. Look forward to the reports. How many Max 8 is TK going to receive this year? Is TC-LCE and LCG the last 2 left? LCE is delivered. LCG should be the last one for this year. 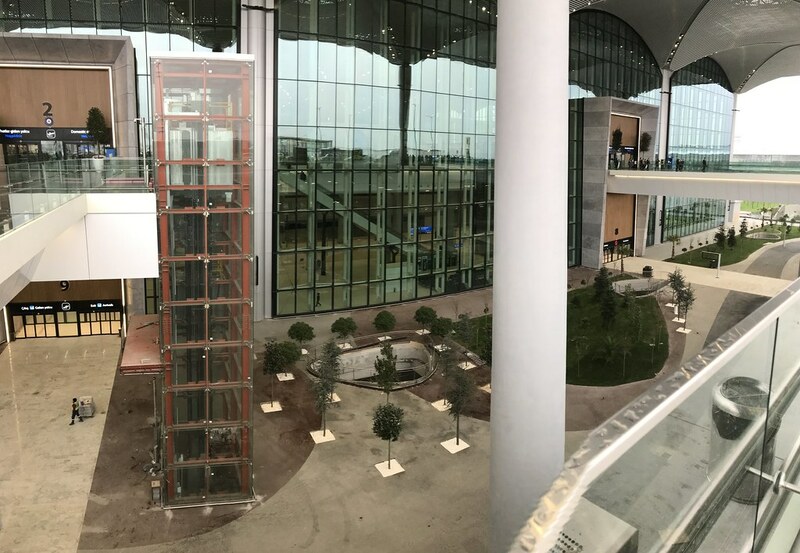 ...here are some pictures from the new airport (ISL). I'm still working on the full trip report. A bit challenging with over 60 pics and some videos from the approach/landing. Great thanks for posting . -Any idea if they have the air conditioning on, does it feel cold inside? -What is that construction picture of? actually, quite the opposite. it was very cozy and warm inside, but only on the departure level. on the 2nd picture you'll see those black round cube alike things between the pillars. they produce some good amount of warm air. at the same time please bear in mind that the terminal is essentially deserted; don't know how this would work with more people around. this is only one of many, many, many construction pictures which I was able took (inside as well as outside of the terminal). that one in particular is probably the construction side of the servicing providers (TGS, Celebi, Havas, Do&Co, etc.). as far as I know, it's on the Southwest Apron according to the previously posted Aerodrome chart. to summarize it, the whole airport is in my opinion still in heavy construction mode (inside and outside). - End of Dec18 Big Bang transfer of IST looks Mission Impossible. However this has to happen before Local Elections due end of Q1-19 with a 2nd Grand Openning (polical show). - 3rd Runway possibly be ready end of H1-20 as it goes very slow for the moment due to lack of money. It may go faster after Big Bang. By the way I was at ESB today and saw that TK A340 parked there long time back still stays at the same location. The future is in the skies. I read on kokpit aero that the big move will start 15 december, but I hope they extend it to 2019. There is no gain in starting operations in a full construction zone with major risks for ground operations that will cause problems for the airlines and passengers. I dont want to see TK getting blamed by the media and people for the responsibility of IGA and the goverment simpy because they did not want to any wait longer for their political views. TK to fly to Rovaniemi, Finland starting Dec5th, 3 x weekly. I just looked at it, population 61,000. What is the other factors for TK to start this route? Thanks. Its big business. I know people who have paid €500 for a day trip charter before. Thanks for the info and it was my mistake about the start date... Flights start Dec5, 2019 and end March22, 2020. So it seems seasonal. - End of Dec18 Big Bang transfer of IST looks Mission Impossible. However this has to happen before Local Elections due end of Q1-19 with a 2nd Grand Openning (political show). I was there at ISL (naturally on the landside...) for the 3rd time after the "opening"! I talked to misc. IGA employees (naturally, junior ranked staff) including those who came from Ataturk AP and also to some TK ticketing staff. Nobody firmly seem to believe that Big Bang operation will take place starting from the 15th and nobody also believes full scale operations will resume at ISL starting 1st Jan. 2019. But, simply said, they cannot put it into words. I've read somewhere that IGA can (or will) officially allocate and hand over "space" to airlines and others by 15th December 2018. This means, IGA will give totally empty spaces inside 4 walls plus the energy supply! How can, the airlines to start with, fill in and decorate their quarters in just 2 weeks and resume all operation from ISL by Jan 1st? I agree with the assumption that real opening (full operations) should go into effect before the Local Elections on March 31st, but how the hell will they (I mean the politicians...) find the time for such a second opening ceremony in the midst of their propaganda gatherings? Also, let's keep in mind that S19 Timetable will become effective on March 25th (or maybe 26th), 2019. So it may be more likely to co-incide the full operational opening with this date. Which means the said Big Bang may likely occur on 22-23-24th. But surely, some equipment transfer may take place gradually, at earlier dates. A veteran Electronics & Communications Engineer from Istanbul-Turkey, highly interested in civil and military aviation. Well, yes it's pretty warm and cosy inside but only in the Departures level. I was there last Sunday, naturally on the landside. Still some TK employees were wearing their overcoats (at the ticketing counter). However, at the Arrivals level, it was almost freezing. There were only IGA staff around and they were all drinking hot beverages and trying to stay alive in their overcoats, etc. The Arrivals level is still mostly a ghostland, with many things to get organised. The ironic thing is that the arriving pax cannot go out to open air at the given level because the outside works are still going on. So they have to go up to the Departures level (by escalators and elevators) and therefore travel some distance like 150 to 350 meters (the international arrivers have worse luck) to reach taxis or buses. I have started wondering how SHGM (Civil Aviation Authority-Turkey), which is a accredited member of ICAO, has approved/authorised this kind of awkward operation. In case of a serious emergency, arriving pax may not make it to the top floor safely! If the inspections were made by ICAO, directly, this facility most probably could not be "declared as operational" on Oct. 29th. 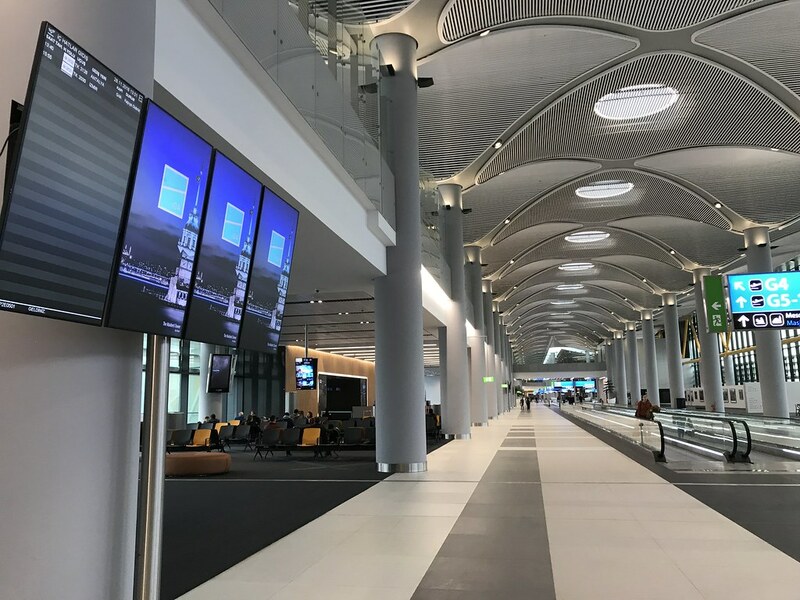 Let's also keep this topic alive... Maybe post your messages (those entirely dedicated to the New Istanbul Airport) to both topics? very true, recognized the same with pickup and busses leaving only from the departure level; however, I also saw one of the arrivals door partly open and manned by a guard. so in case of emergency I'm sure one could get out from there. Maybe yes, maybe no. Some of the doors (including the ones on the Departures level, are opened now, closed a few hours later since they are carrying things in and out. 1) The entry side of the Terminal (which is said to be 540 mt. long) doesn't consist of only two levels (floors) but there's a third basement level under the Arrivals floor. Most of the working staff in the terminal will enter thru this Service (Basement) level. 2) I'm not very sure about it, but the coaches (including private shuttles too, maybe) will also be departing from this lower level. The Arrivals level exits will be reserved only for taxis and maybe for private vehicle pickups. As far as I can see, the overall width of this section is not too wide, so the story about bigger sized vehicles (like busses) may indeed be true. I was in Petra, Jordan last month and TK built a covered tiered sitting area, bleachers at the entrance of Petra big enough for few hundred people. It has all kinds of TK posters surrounding it and it says if you show your TK ticket, you can get a 15% off of the entrance fee to Petra. Also TK put a pretty big video screen just outside the entrance gate showing TK commercials and also TK build a big sign that reads I Heart Petra where you can get your photo taken with the video screen at the back. Pretty smart for TK to do this and I can't believe Jordan is OK with this. I mean it is their major tourist attraction site and it has TK presence all over its entrance. Its been going on for 2+years. Back in 2015, TK agreed to provide marketing sponsorship. Jordanian government seems quite happy to have this relationship. As mentioned, Rovaniemi and Lapland as a whole see a decent amount of demand in the winter and especially around Christmas time. For example this December alone there are in total over 650 charter flights to five Lapland airports, most coming from the UK but there's also growing interest from Asia and I believe this is what TK is aiming at. RVN is definitely a winter only route and not relying on local demand. However with AY's extensive network in Asia it remains to be seen whether or not this will be successful for TK. 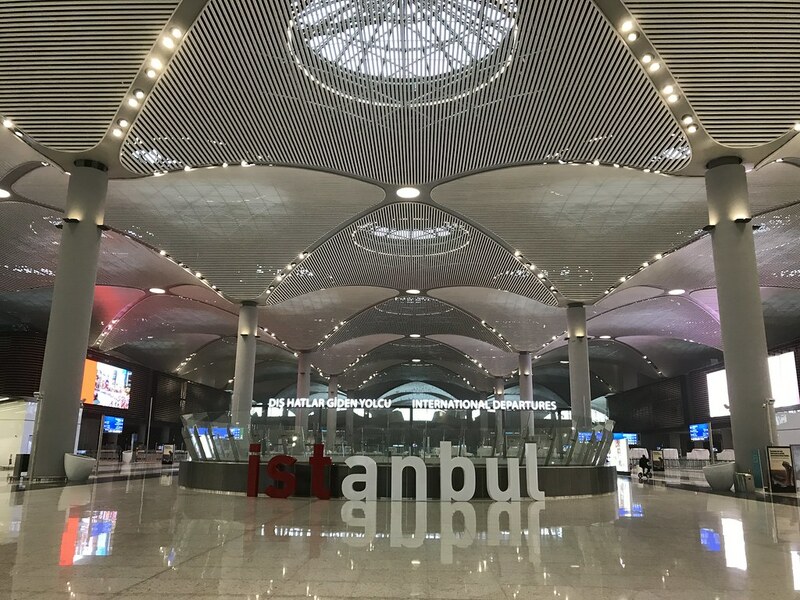 According to story in Airline Weekly, Turkey should close out 2018 as the worlds 10th largest aviation market with estimated 115.9mil passengers. This year Turkey will likely have passed France which is estimated to have 113.2mil. The gap to number 9 spot Brazil however is a big jump to 134.8mil. Same source also list IST as the 4th busiest airport in Europe for 2019 Q1 based on published scheduled seats. (Top-5 are LHR, FRA, CDG, IST, AMS). SAW comes in at the number 12 spot. TUI is launching new routes from Charleroi and Liège to AYT and from Liège to Izmir. That number doesn’t make sense. Just the top 3 airports already have more passengers than that. During his recent visit to Venezuela, Erdogan announced that TK will increase IST-HAV-CCS-IST to daily, up fom the current 3 weekly flights. Is this route performing so well? Or is it just political blah blah blah? Back in July, Maduro announced during his visit to Turkey that Turkish "would open a base" in Caracas. I believe when they look at aviation market size, they consider only O&D, not double counting domestic connection, or international transit etc which airports count. Probably a good way to confirm this is looking down the chart and they have single airport nations like Singapore with estimated 41.6mil in 2018, but SIN Changi airports total passenger count in 2018 will likely be 65+ million. Yes actually route is doing OK. TK already announced in September an increase to 4x weekly in 2019. TK seem to be starting Lgw - Ayt 2x weekly S19. Lgw - Bjv increases to 3x weekly. as well. looks pretty neat to me. I’m at SAW, completing my 1st ESB-SAW-DXB-SAW-ESB trip on TK/EK combo. What a difference compared to all trouble you go through at IST (both in the terminal and in the air). I think SAW will be my favorite for a while. I took TK shuttle bus to transfer Domestic Lounge that leaves main terminal beginning of each quarter of an hour which is convenient. - Very critical point: very long taxi times(!!!). Especially on departure I meassured 32 min. from commencing taxi to takeoff roll. This is mindblowing considering the airport is nowadays basically empty. Add another 5-10 minutes maybe due to ground traffic and takeoff sequence. TK compensates it with longer scheduled blocktimes. For example, ADB-ISL is scheduled with 1:30 and ISL-ESB with 1:25. Flight time usually is not longer than 50min, but from customer perspective you are probably better off taking other means of travel if you start your journey in downtown Istanbul; minimum 1 hour to reach the airport, another hour for checking, waiting and boarding, 1:30hrs flight time, 15-30 minutes to get out in ESB and finally another 30-45 minutes to reach Ankara center. This adds up to almost 5 hours. - Still, a lot of small to medium size constructions going on inside the terminal gate areas. Finished and to be ready is surely another thing, but 31DEC is a big dream my dearest Turkish friends! - Signs are up for the Turkish domestic lounge. I guess, it will be located on the ground level of the G-pier head. There were only elevators with the signs on across gate G6. Wondering if they are planning a seperate curbside entrance from landside to the lounge as well (like in IST, SAW, ADB, ESB...)? Thats it for the time being. Still working on the trip report(s). 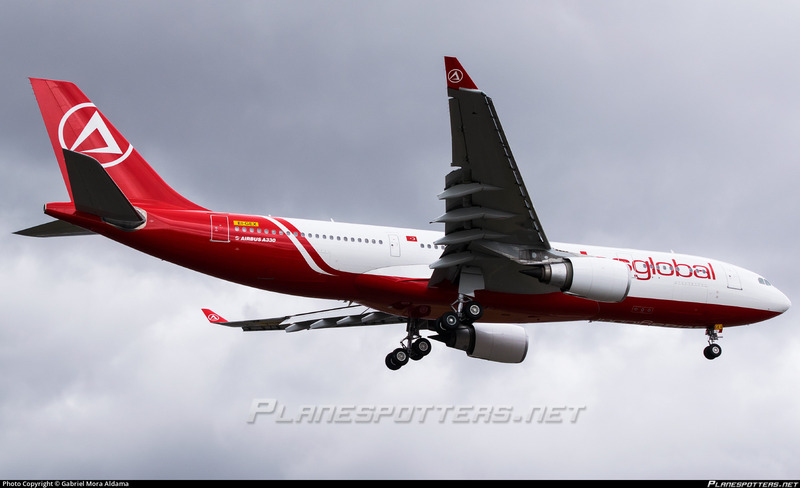 That KK A332 looks really beautiful. What will they do with the aircraft? Will it be used on charters from the coast or from IST as well? Hey everyone; I meant to comment about the new J class seats but we changed over months, I rally like the design and lay out honestly I don't think the 2-3-2 is a disaster, but I understand the point of no middle seat for J cabin. I hope with clever design TK can be 2-2-2 on all J cabin across the fleet without losing capacity. Also from the 787 production thread according to member "817Dreamliner" First Turkish Airlines Boeing 787-9 will be LN865. I assume we will see roll out around march April 2019. If I'm not mistaken, first commercial Airbus operations commenced today from ISL with TC-JUI (320) operating flight TK2048 to TZX. I just read the fine detail on the 5x status miles for all flights to/from ISL, it says that all of the extra miles earned will be given together at the end of the campaign which is at the end of the year. My card status will be downgraded at the end of the year as well. So the time I earn the miles and the time I am downgraded is the same ( 31st december midnight), do you think I will be able to use those miles to keep my status ? Good thing they're not going the bulk of that distance by bus this time hehe. Just a 35-minute bus ride to Trnava from the small airport in Bratislava. You don't have permission to access "http://www.turkishairlines.com/" on this server"
It lasted about an hour and I could not go to the website. Is this common? Thanks.